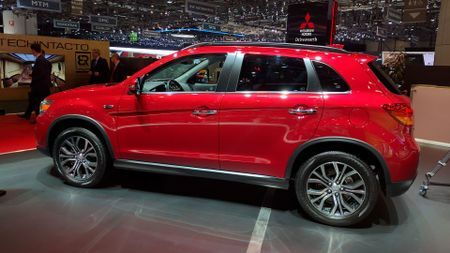 Mitsubishi has been booming in recent years, and chose Geneva as the platform to thrust newly revised versions of two of its lesser-known models into the spotlight, the ASX crossover and Mirage supermini. 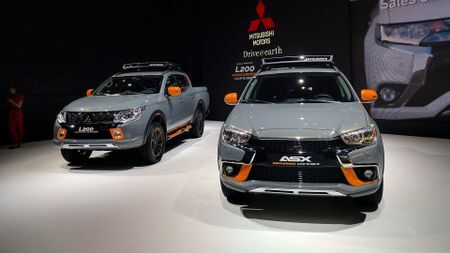 The Japanese brand has been the fastest-growing marque in the UK for the last three years running, but much of that success is built on the Outlander (particularly the PHEV plug-in hybrid) and L200 pick-up. To help spread sales across the rest of the range, the ASX has been given a redesign. 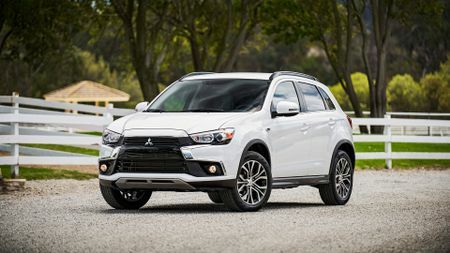 A ‘Dynamic Shield’ chrome grille – similar to the face of the latest Outlander – has been grafted onto the front of the car, with a gloss black centre section and tweaked front bumper also helping to bring the ASX into line with its larger, more successful sibling. The chrome streaks join up the headlights, while UK models will also get new 18-inch alloys and a 'shark-fin' antenna. Inside, the differences are subtler, with some new piano black trim on the steering wheel, a standard auto-dimming rear-view mirror, plus comfier and more supportive rear seats wrapped in improved, harder-wearing cloth trim. Exact UK specs are yet to be confirmed, but the new car should reach UK showrooms by the end of the summer. To help the ASX keep up with the latest crossover SUVs, it will also come fitted with a new 1.6-litre diesel engine with 113bhp, a six-speed manual gearbox and, as before, a choice of either two- or four-wheel drive. 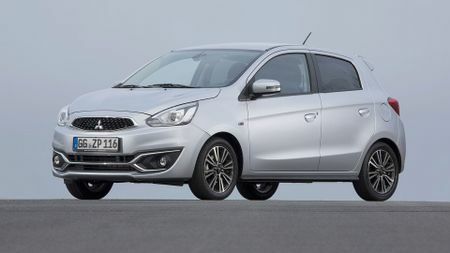 At the other end of the spectrum in the Mitsubishi range sits the dinky Mirage supermini. It has been given a thorough overhaul with a host of changes both inside and outside designed to boost its appeal to a wider audience. However, although the new model was announced at Geneva, the city car didn't actually appear on the show stand, which was instead taken up by a pair of 'Geoseek' concepts – based on the L200 and ASX – which previewed some adventurous accessories and orange styling add-ons. 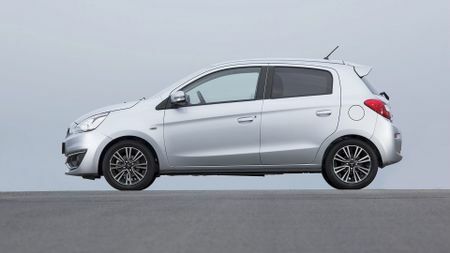 Currently Mitsubishi’s fourth best-selling car globally, the Mirage benefits from a totally new front end, with a wider grille, new headlights, and a reprofiled bonnet. At the back, a new set of LED rear light clusters and a new bumper help make the car seem a little wider and lower to the ground than before, while the overall length has grown by just over 8cm. Completing the visual changes are new sets of 14- and 15-inch alloy wheels and two bright new colours, Wine Red pearlescent and Sunrise Orange. The interior has also been given some much-needed TLC, with the highlights including better seat fabrics, a brand new leather multi-function steering wheel, and a revised instrument cluster with softer lighting. DAB radio is available for the first time, and the Mirage is the first new Mitsubishi to get the brand’s latest smartphone-enabled sat-nav system. 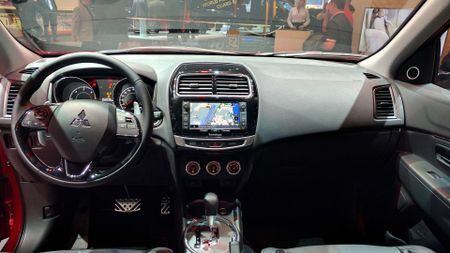 Accessed via a 6.5-inch touch-screen in the centre console, it comes ready with Apple CarPlay and Android Auto – integrating the latest features, including Bluetooth, music streaming, messages and Google Voice. The car continues to be powered by a pair of three-cylinder petrol engines, a 1.0-litre and 1.2-litre with 70bhp or 79bhp respectively, driving the front wheels through a new five-speed ‘box or a CVT transmission. Both have stop-start technology and regenerative braking, and the revised Mirage will arrive before the ASX, in May. 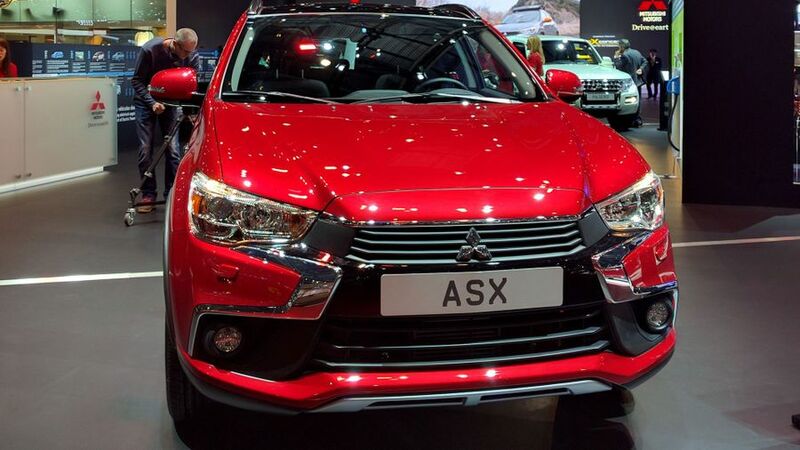 Interested in buying a Mitsubishi ASX?